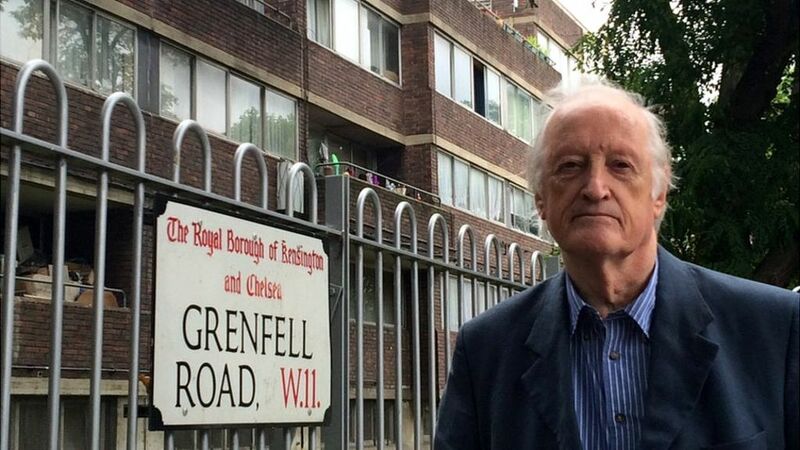 Peter Deakins drew up the master plan for the Grenfell estate in the mid 1960s, a scheme that was hailed at the time as a “spectacular surprise” by the Architects’ Journal because of its scale and ambition. He was horrified to see its centrepiece, the tower, burnt out. When plans were drawn up, more than 50 years ago, he said the area had been very rundown – the houses overcrowded, the gardens just mud, very often full of mattresses, no trees to be seen or planting. Although Peter Deakins was not the designer of the individual buildings on the Lancaster West estate – which includes Grenfell Tower – he worked on the estate as a whole and as an architect on many others, including the now-listed Golden Lane council estate and the Barbican. “It’s a very solid building underneath, and would stand up to pretty well anything, I would think. Today many contracts are so-called “design and build”. The architects will draw up the design, but hand over to the builder or developer once the project has been approved by the local authority planners. The Royal Institute of British Architects (Riba) has highlighted the potential risk of this approach, and has also raised concerns about the virtual disappearance of the “site architect”, who used to oversee the construction, and the “clerk of works” who would be based on the building site and check the work done. At the time Grenfell Tower was built, Peter Deakins recalls, the job of site architect was often extremely hard work. “The architect in those days was chairman at site meetings and totally responsible for everything that happened,” he explains.